Nauta Flexible Tanks provide many advantages over rigid tanks and have, therefore, become very popular with both yacht-builders and boat-owners. 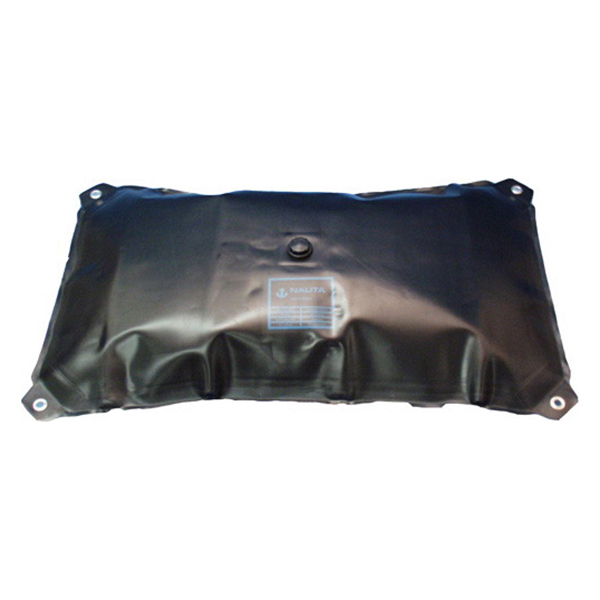 Each of these tanks uses an extremely rugged 840-Denier nylon fabric, coated on both sides with a neoprene/nitrile compound. Heavily lapped seams are inside-reinforced with a "doubler" to provide extra strength. Nauta tanks are very easy to work with. Several models are available with fittings already installed. However, Nauta's construction also allows custom placement of fittings to suit your particular requirements and makes it simple to install them. A flexible tank is unique in operation: as liquid is drawn out, the tank "collapses"